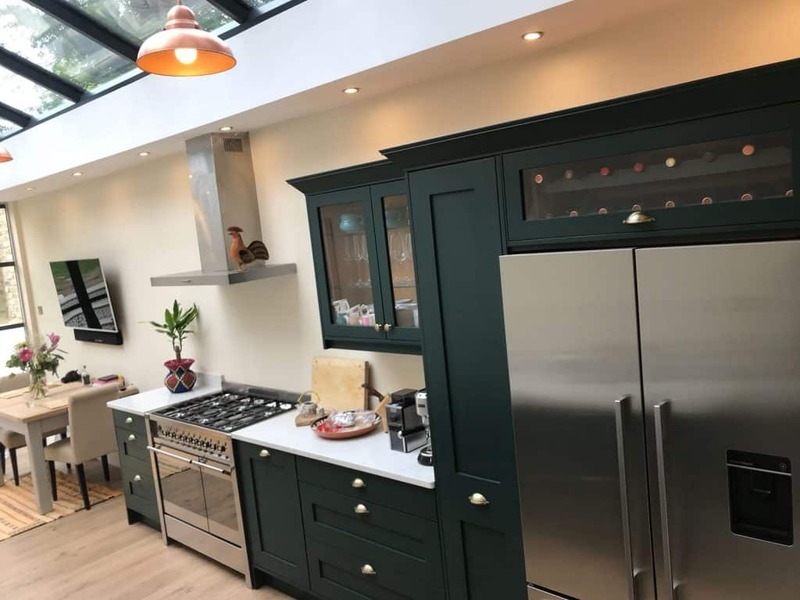 Our client asked us to create a bespoke kitchen for their London garden flat. 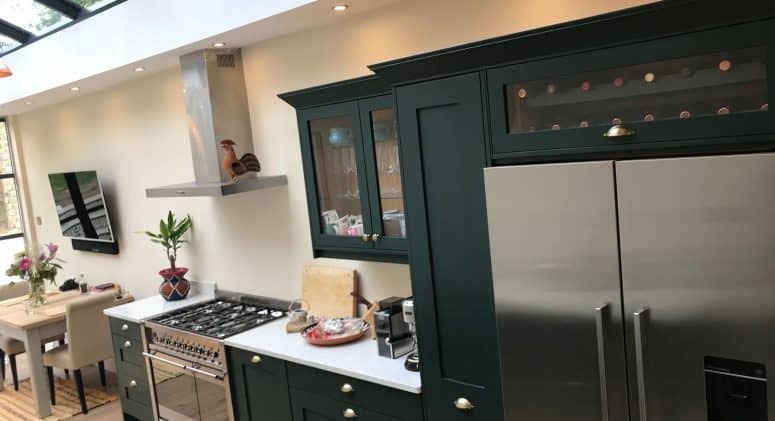 We made the kitchen furniture in a simple Shaker style and painted it in a stunning dark green. We then added antique brass cupped handles and knobs. The kitchen was installed with neutral coloured quartz worktops and a white Butler sink. We also fitted the appliances which included a Fisher & Paykel fridge freezer and a Smeg dual fuel range cooker.